Buy Dr Tim Pearce’s latest eLearning course today with a lifetime of access to videos and resources! Purchase Botulinum Toxin Complications & Dermal Filler Complications together and save £200! To really bring home the reality of some of the rarest complications, I have also interviewed clinicians and patients who have faced worst complications. At the end of each segment, we will be testing your knowledge with an MCQ and you will earn a graphic certificate to promote yourself to your clients for every module passed. If there’s one thing the client care more about than price, it’s safety, so I really want you to go to promote yourself using this course. My wish is that you will be able to identify and handle every one of the major complications and side effects that you will come across in medical aesthetics, and that this will set you free from worry and enable you to surge forward with building your practice while your patients are safe. SkinViva Training eLearning courses are aimed at medical professionals and do not replace the need for practical face-to-face training, which this course is designed to complement. This course is not suitable for non-medical practitioners and all medical practitioners should also seek practical hands-on training first, before purchasing eLearning. I attended the Foundation BOTOX® and Dermal Filler course facilitated by Aimee. I have been on many courses throughout my career and this is without doubt one of the best. Aimee is a fantastic practitioner who I can highly recommend. It is through her commitment and passion that I will be booking on more courses. The course is very practical from the start and this makes it so much clearer to follow. Thank you so much. I had my training on Saturday with Dr Ahmed. It was a great session, chilled atmosphere with a real focus on practical side. Dr Ahmed really made me feel confident and prepared to provide treatment by myself and I have already booked my first clients! Thanks for the support. I have just completed the foundation Botox and Dermal Fillers course with Sharan, and would recommend it to anyone who is looking to get into aesthetics, and to people who have been to a foundation day but didn't feel like they got enough experience! Sharan was an excellent, attentive tutor and gave positive, informative feedback throughout, always making sure the delegates and patients were at ease and the whole day felt so well organised and supported. The whole team are fantastic, friendly and are all clearly really enthusiastic about what they do. With great hands-on experience the course is very well designed - we were a group of 4 delegates to 1 trainer and had 8 patients throughout the day so all got plenty of practical experience as well as learning from each other. I have booked onto the next course and am looking forward to it already! The introduction course to BOTOX® and fillers November 2017 was absolutely excellent. Can't recommend it enough. Felicity, the trainer, was thorough, clear , specific and clarified every question. She gave us confidence in a professional and clear manner which meant that both the client and learners were at ease but able to provide the treatment in a learning atmosphere. I came away instilled with wise knowledge supplemented with safe technique and the foundations of a new skill that I can definitely work with. I look forward to returning for more courses in the field of aesthetics. I have recently completed the Foundation Botox and Dermal Fillers course with Natalie, who is friendly and approachable and I cannot thank enough for her patience and support throughout the day! The course was expertly run, and I gained both theoretical knowledge and clinical experience. I thoroughly enjoyed the training and would love to book a further course with Natalie, as she is a superb teacher, and has admirable enthusiasm and knowledge in the field. Looking forward to putting my new skills into practice! I attended the BOTOX and dermal filler course on Saturday. Would just like to thanks SkinViva and Natalie for a great day. Learnt so much, and it has now given me the confidence to start practicing straight away. I actually have my first patients tomorrow so thanks for your help. I also know that there will be a lot of support if i need help. I will definitely be attending more courses in the near future. After attending a open evening by SkinViva I decided to book on combined Botox & Dermal Filler course which I attended yesterday. First of all I would like to say how approachable and helpful the team are and secondly the training course was so valuable. My group was five RGNs and our trainer was Dr Tim Pearce. His training is provided in a professional but relaxed manner, Tim empowered the group to feel confident to provide a consultation and provide safe and effective treatment. Before I attended I had training manuals to study all provided by SkinViva. On the day we had a short induction and then straight to practical sessions. The course is well structured and I would highly recommend this course to any registrant wanting to become a aesthetic practitioner. One day on I feel confident and safe I've been given the foundation to commence aesthetics. I will be returning for further course. Brilliant day. I booked a place on the foundation Botox & filler course & from the outset the communication was outstanding. I called several times prior to my course with all sorts of questions & Georgie answered my queries promptly, with a wealth of knowledge & in a friendly but professional manner. I attended the course this Wednesday & what a fantastic day. The facilities were exceptional & from the moment I walked through the door all the staff were extremely friendly & professional & made me feel at ease. Then Dr Tim introduced himself & told us he was going to be our trainer for the day. My nerves kicked in again, however, within minutes I felt relaxed, reassured & excited to get started. The models were exemplary. They were encouraging, supportive & patient. Dr Tim's teaching & knowledge was outstanding & throughout the day he continually linked the theory learnt in the training manuals into practice. By the end of the day I felt confident & inspired. Prior to commencement of the course I purchased the Botox E-Learning course which in my opinion is a must as everything on the day just fell into place, therefore, allowing me to concentrate on my injection techniques. Two days later I carried out 2 Botox treatments & I watched all the videos prior, enabling me to consolidate my learning, refresh & calm my nerves. 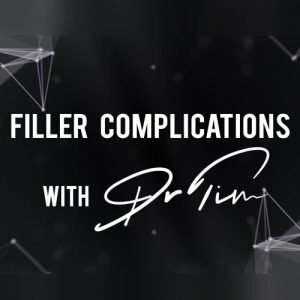 I am undoubtedly going to purchase the filler E-learning course as soon as I can, as I know it will be an excellent reference tool to support my practice. The support from SkinViva doesn't stop there, post training I have been invited to join their social media group which offers a network where you can post questions, bounce ideas & share experience & receive advice & support from others & tap into the wealth of knowledge from the Skin Viva trainers. I can't wait to gain enough experience so I can build on my learning & attend the intermediate courses. Thank you so much to all at Team SkinViva. I attended the Foundation Botox and Fillers course on 21/09/15 and I was certainly not disappointed! Dr Sharan was extremely patient and very encouraging. It was very much ‘hands on’ all day. She let us work at our own pace and ask any questions along the way. A huge ‘thank you’ to the models also! I would definitely recommend this course, the training school and the staff – nothing but positive things to say. About two years ago , whilst browsing through the web,looking for a reputable aesthetic trainer I stumbled across Skinviva. I looked at some reviews and decided to go for a Combo course. I survived through the intensive/ packed day course in the end. I found it comprehensive , professional and in a friendly, relaxed environment. Looking back, the last session on setting up Business , it’s technicalities and legalities was the one of the most important part, which helped me at each stage of my aesthetic Business. In last year and a half we have grown from zero client to over 3000 regular clients. Currently we have more than ten thousand likes on our Facebook page and diary is always full for at least 4 weeks in advance. Thanks to superb training at Skinviva we have 99.9% happy customers, who always love their Dermafillers/ AntiWrinkle injections treatment results. I have just completed the foundation course in Botox/fillers. It was full on for the day but I thoroughly enjoyed it and highly recommend the training. Can’t wait to return to the lips course. Thankyou everyone. A great day! Will be back for more! Excellent training! Loved the hands on experience! Many thanks for the excellent course! Completed the Botox & dermal fillers course earlier this month. Was a bit dubious as I wasn’t sure what to expect. Absolutely loved the course, Felicity was so helpful & friendly. The group was small so there was a relaxed atmosphere & most importantly I felt completely competent by the end of the day. Really happy with the post course support I’ve received & will definitely be booking the lip & course in the near future. Would highly recommend. I just LOVED it. I performed a combined Botox & Filler Training at SkinViva Training and it was great. Dr. Ahmed was my “hands-on” trainer and it was lovely to have him as a tutor! Great and high competency from the whole SkinViva Team! I can without any restrictions recommend this Institute and am happy and looking for performing my next training soon! Thanks and congrats! I completed the combined botulinum and fillers course on the 1st October and I have to say that it was thoroughly enjoyable. Ahmed is so patient and supportive creating a positive learning environment. Anyone considering doing the course should take the plunge and book it now, you won’t regret it! I have done all my training with SkinViva from the foundation course through to the advanced training I have done. I wouldn’t go anywhere else, yes I could go somewhere cheaper but the standard wouldn’t be nearly as good as you get here. Dr Tim has very high standards and expects the same from his doctors as he does from his trainees. Excellent training is provided by this organisation. Comprehensive learning provided with training manuals and guidance. The groups are kept small enough to give first class training and online support through the forum is invaluable to the less experienced clinician. I have done 2 training days so far with a third one booked, and will continue on with them. I attended the foundation Botox and dermal fillers course last weekend. The course was very professional and I learnt so much. Dr Nicole who lead the clinic made me feel at ease straight away and she was very approachable when asking questions I was unsure about. For anyone who is thinking of going into the Aesthetic’s industry I would highly recommend this course. Thank you SkinViva! I did a combined course here sometime ago, excellent course with tips on techniques, it’s actually the course that keeps giving due to easy follow up on a Facebook group. I also did another taster course as part of a post grad elsewhere but the professionalism wasn’t there, no focus on techniques and not as enjoyable. Would highly recommend SkinViva for courses for professionals and also for treatments! Went for botox and fillers training with Felicity. Great day, very informative and fantastic trainer, Felicity is so easy to understand and approachable. Nice facility and good support from staff. Will definitely go for further courses. I really enjoyed my joint Botox and fillers training with Skinviva. Everyone involved was knowledgeable, helpful and positive and I felt more than ready to begin injecting on my own afterwards. The theory side gave us a great foundation for the practical later on and I really valued having lots of time injecting. I’d highly recommend the training to others. I attended the one day Botox and filler course by skinviva and I am now looking forward to doing it on my own! The course was very informative but not too intense. I found the information on underlying anatomical structures to be wary of when injecting very helpful. I was able to practice injecting on real clients whilst being supervised and directed by Dr Tim and felt he was patient and encouraging. I felt relaxed during the day and that I could ask any question however silly I felt it was and he would answer it for me. I highly recommend the course for anyone wanting to start injecting. What makes this course unique is Dr. Pearce’s focus on safety. There are things that can go wrong (as with any drug) and this course helped me not only understand the side effects and complications but made me realise how to best avoid them or at the very least treat them to the best of my ability. In short, I was very glad I booked this course and will certainly look to SkinViva again for future courses. Many thanks again! I am interested in the Botox and dermal filler Complications mangagement course. Hi Collette, these are 2 separate courses which can be purchased as a package, saving £200 on the cost of purchasing separately. For 28th-29th March only, you can also benefit from an extra introductory discount. Use the red button on this page to purchase if you’d like to go ahead with the complications package.